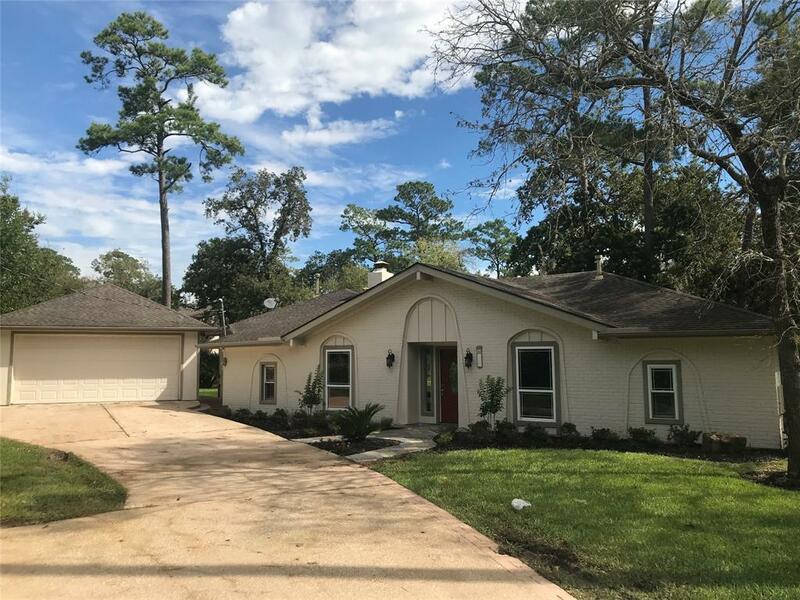 **Reduced for Quick Sale**Beautifully updated single story 5 bedroom, 3 bathroom home zoned to the prestigious Friendswood ISD. 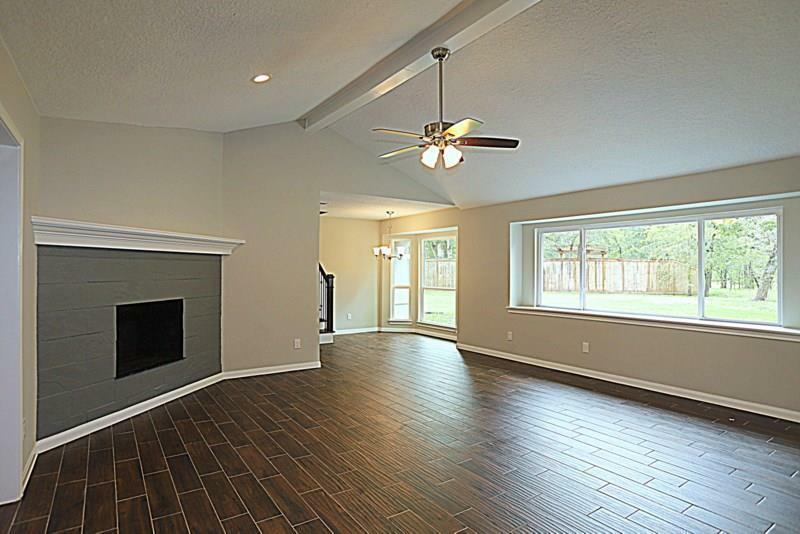 Quiet pocket w/ easy access to I-45, shopping, restaurants and schools. 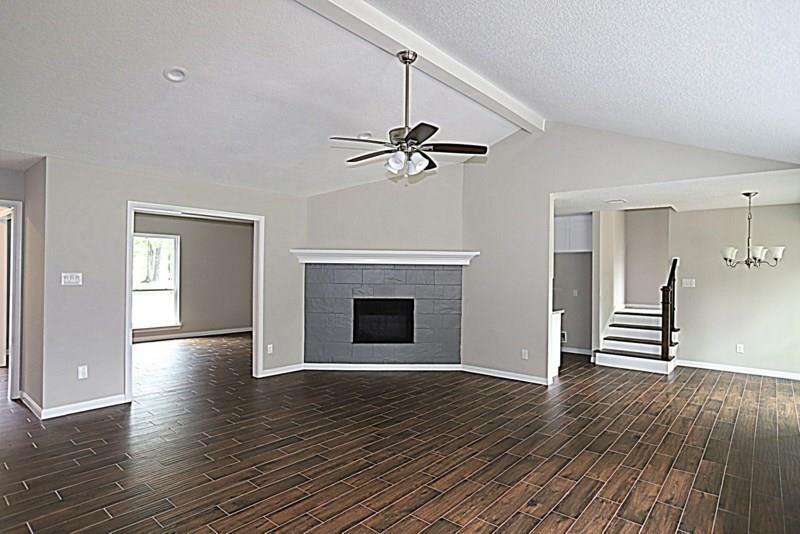 In this beautifully updated home you will find high-grade hardwood finish tile flooring in main areas, tile in baths & carpet in bedrooms. The kitchen has granite counters and SS appliances. All baths have new tile floors and tile surround tubs/showers. New air conditioner and new light and plumbing fixtures throughout. The home is on a little over half an acre of land, surrounded by mature trees with a half-acre green space next door that you can lease back from the city for a low fee. No neighbors behind you, or to the right of you, home backs up to the creek. Wonderful views of the creek from inside. 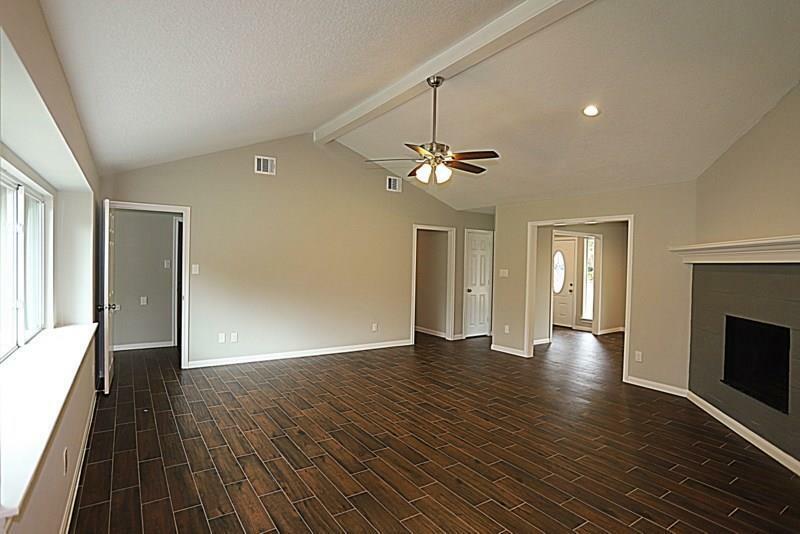 Home has 5 bedrooms or can be 4 bedrooms with the front room used as a study. Large air-conditioned detached garage for large trucks/oversized vehicles, or a perfect space for a shop.